Home » Virginia » Girls Getaway in Charlottesville, VA? Yes, Please! Girls Getaway in Charlottesville, VA? Yes, Please! A mom’s work is never done! The minute we think we’re caught up, one of the kids throws up on their clean clothes. We cook a scrumptious dinner then tackle the stacks of dishes in the kitchen. Throw in car-pooling, doctors’ visits and homework and it’s a wonder we survive a week — much less 18 years! Moms, paid in hugs, sloppy kisses and funny hand-made notes, deserve a break. Wouldn’t a girlfriend getaway to relax and unwind make the job of “mom” even more rewarding? Of course! 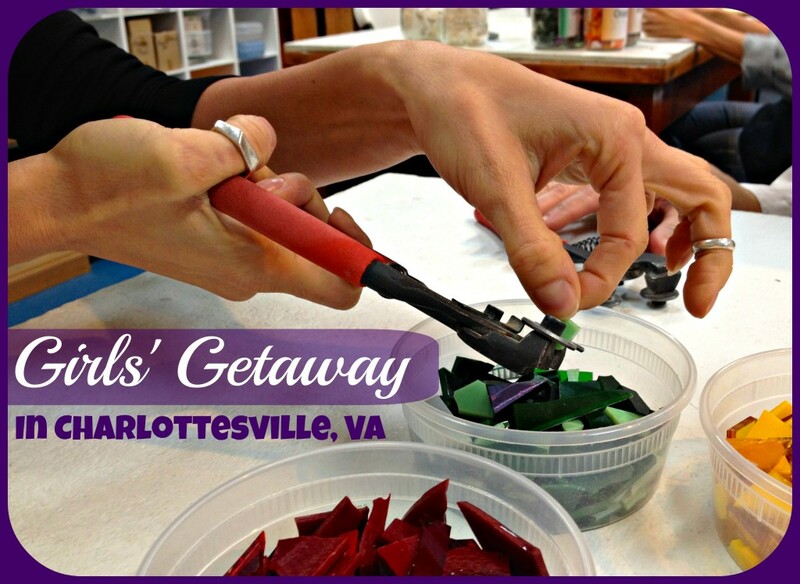 In fact, a girls’ getaway to Charlottesville, VA might be the best way to do just that! Charlottesville offers lodging at a variety of price points. *Hyatt Place, a brand new hotel just outside downtown Charlottesville, offers rooms in the $100-150 range, which include free hot breakfast, wifi and parking. *The Clifton Inn offers 17 rooms from $129 (winter) and from $249 (spring-fall). Pamper yourselves at this world-class inn set on 100 acres in the Blue Ridge Mountains that offers an infinity pool, hot tub, clay tennis court, croquet lawn, hiking trails and fine dining. *The Boars Head Inn & Spa offers a number of rooms and suites starting at about $150 (winter) and $175 (spring-fall). Guests of the Inn can enjoy fine dining at the award winning Old Mill Room, world class sports and fitness facilities, and luxurious spa treatments in a serene setting just outside downtown Charlottesville. *Shoppers might like the Charlottesville Omni, conveniently located on the Downtown Mall. Winter rates begin at $170 and summer rates start at $270. Besides its convenient location, this hotel provides a fitness center, heated indoor pool and seasonal outdoor pool. *There are a number of economy hotel chains in the area as well. Check your favorite hotel chain to learn more. Start with this itinerary when planning your girls’ getaway to Charlottesville. 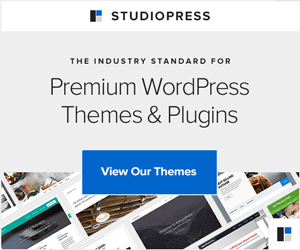 As a group, decide which suggestions best fit your budget and/or which you’ll most enjoy! Happy planning! Enjoy dinner at one of Charlottesville’s fabulous restaurants! *Travinia Italian Kitchen serves fresh, seasonal Italian cuisine prepared from scratch each day in the open kitchen. The restaurant’s fun atmosphere paired with its delicious dishes would make a great start to any getaway. (My recommendation, the signature lump crab cake served with spinach roasted tomato pine nut orzo pasta and a lemon buerre blanc sauce. $12) Advanced reservations strongly suggested after 6:00 p.m.
*The Virginian, Charlottesville’s oldest restaurant, might be small, but it’s packed with history! The wooden booths, pressed tin ceiling and walls of photos highlight the history of Charlottesville and UVA. The menu features southern classics like southern fried chicken, apple bourbon glazed chicken and mac’n’cheese. Personally, I recommend the southern fried chicken with white gravy ($13). *The Clifton Inn offers diners a 4 or 5 course dinner option (starting at $62) in a tranquil setting overlooking the Blue Ridge Mountains. In the winter, fireplaces warm hearts and feet alike. Advance reservations strongly suggested. Venture downtown to walk the mall, Charlottesville’s pedestrian friendly downtown, home to shopping and more restaurants! Convenient parking and a well-lit mall lends to an easy evening stroll through this quaint city. OR return to your hotel to unwind for the evening. *Thomas Jefferson called Charlottesville home. Visit his home, Monticello, and step back in time to learn more about this founding father. Allow enough time to explore the grounds, visit the museum and the shop. *Shop Michie Tavern. This 18th century venue is home to several shops that offer pewter, period clothing, exquisite quilts, and Virginian crafts in a general store. Michie Tavern, the onsite restaurant offers a traditional 18th century bill of fare as well. Step back in time and enjoy this unique gem. Lunch: Enjoy lunch at one of the restaurants (above), at the Michie Tavern, or on the downtown mall. *Schedule a spa treatment at the Boars Head Inn & Spa. This is a girls’ getaway after all, and this spa is amazing! The Spa at Boars Head Inn is everything you could hope for: serene music, soft colors, fabulous staff and excellent spa treatments. The dressing room is private and offers everything you need, including lockers for personal belongings and blow dryers for your hair. Allow time before and after your treatment to soak in the tranquility. *Relax with a wine tasting at one of the many vineyards in the Charlottesville area. *Sample the cider at Albemarle Cider Works, which offers a cidery and tasting room. Jefferson experimented with ciders made from heritage apples… walk in his footsteps on this outing. Evening: Enjoy dinner at one of these restaurants, recommended by my friend Mike, a true foodie! Morning: Adventure abounds in Charlottesville! Shop the Downtown Mall, home to more than 120 shops and restaurants. Hike one of the many trails in the Charlottesville area: Rivanna Trail (a 20-mile urban wilderness trail that meanders through the city) or take a guided hike with Blue Ridge Hiking Adventures which offers half and whole-day outdoor adventures). Explore one of the many gardens in the area. Visit the CVB website for more information. Lunch: Enjoy one of the restaurants already mentioned or enjoy al fresco dining on the Downtown Mall. *Create your own keepsake. Enjoy a relaxing afternoon creating a memorable glass piece or pendant at The Glass Palette, an interactive glass studio. The studio is open for walk-ins every afternoon (closed Monday). The owners and staff teach you everything you need to know to create a hand-crafted piece to enjoy for years. *Throw pottery. At City Clay in the Silk Mill, Randy Bill and her team will help you create a clay pot of your own. Call ahead, 434.293.0808, to schedule your group class and learn how to make pottery on the wheel. Open daily, except Monday. Dinner: Select a restaurant from those already highlighted. Evening: Enjoy a concert or play at the UVA School of the Arts. Concerts and plays, some free and others priced as low as $5 offer great entertainment value and the opportunity to see up and coming artists perform. See what’s available during your visit by visiting the UVA Box Office online. After checking out of your hotel, be sure to shop! Don’t go home empty handed. Seminole Square Shopping Center offers a variety of shops to fit any budget and interest. With so much to see and do, every member of your group will enjoy this girls’ getaway to Charlottesville, VA. There’s so much to do, make it an annual event! Learn more about Charlottesville and explore available packages at VisitCharlottesville. I received complimentary accommodations, dining and attraction experiences for purposes of this review. The information and opinions included in this post are my own. To learn more read my disclosure policy. This will be a great couples get away! Mike & I are going in the Spring. It would. And now you have it all planned. Enjoy! Great post. But no mention of University of Virginia and The Rotunda? Yikes :)?! The Corner at The U is one of the must sees as well IMHO. Great addition, Adrienne. We didn’t get to see much of UVA or the Rotunda, though we did enjoy a play! There’s just so much to do in Charlottesville!